While the warm weather is here, we still need to enjoy those summer recipes. 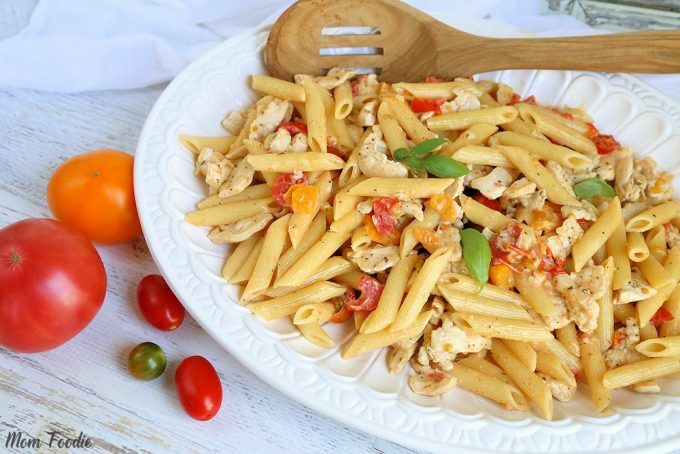 Check out this delicious, creamy Chicken and Pasta with Fresh Tomato Cream Sauce recipe from Mom Foodie. While the meal is not made under 30 minutes, it is well worth the wait. Fresh ingredients are used to make the sauce and ripped tomatoes that still have a fresh flavor.